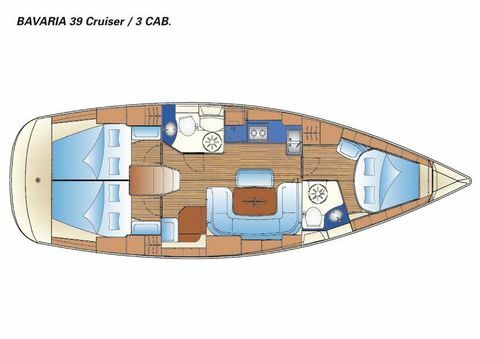 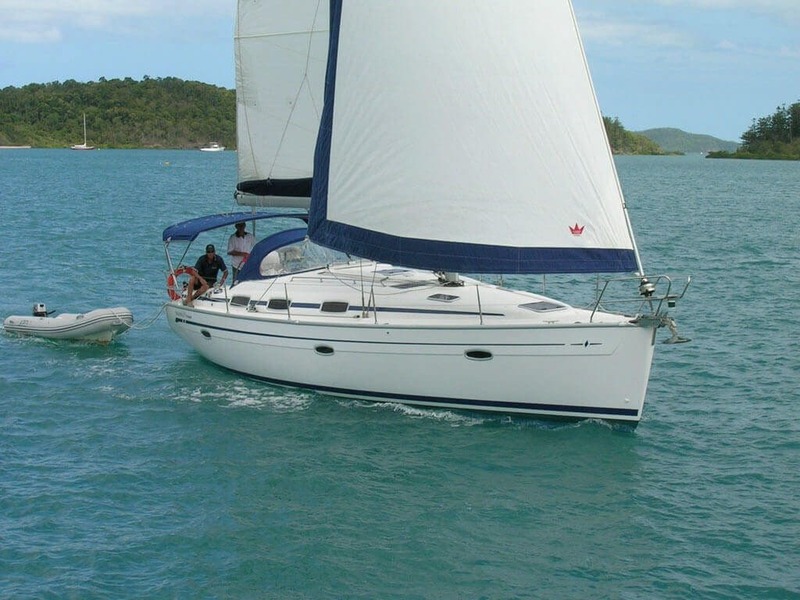 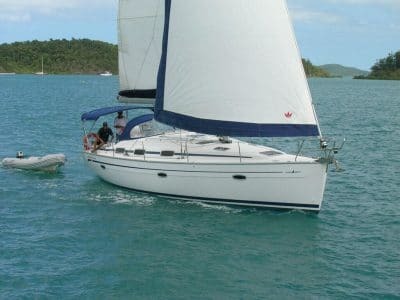 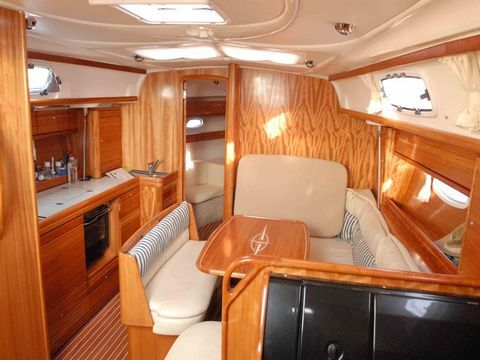 The three cabin, 2 heads Bavaria 39 is a perfect yacht for families or groups of friends. 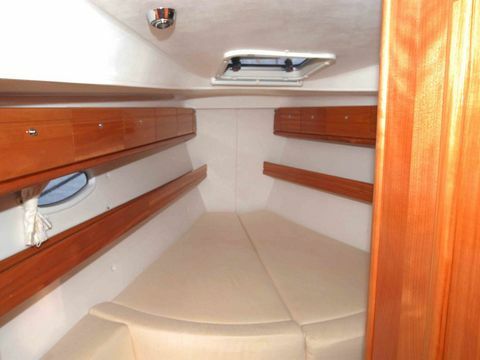 With a bright and airy forward cabin with en-suite, this one suits the parents very well! 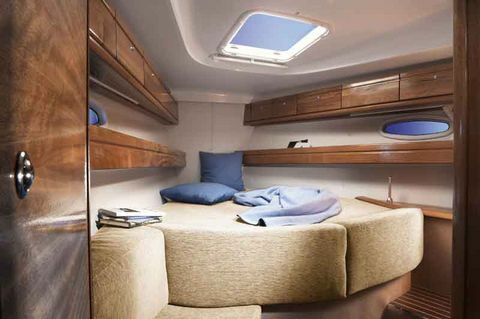 Two further spacious double cabins give plenty of room for 6 to sleep in comfort.